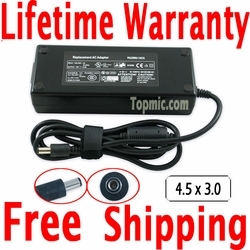 A new replacement charger for HP 240 G2, 250 G2, 255 G2 laptop models, with power cable included. This HP 200 Series charger (19.5v, 4.62a, 90W) is compatible with any HP charger requiring 90W or less, as long as the voltage matches. The charger can be used globally, so take it with you anywhere you go.